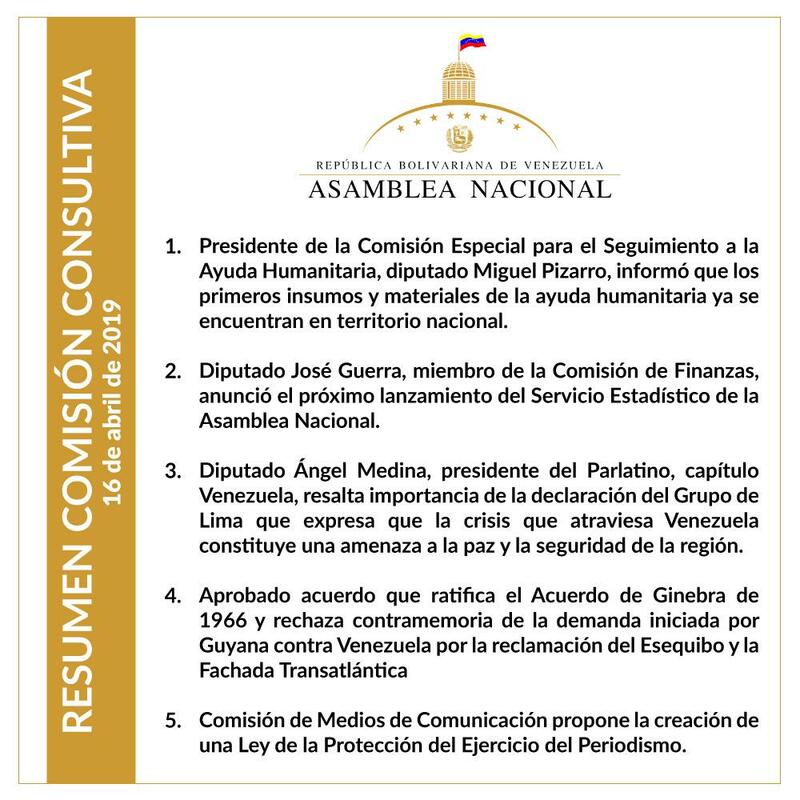 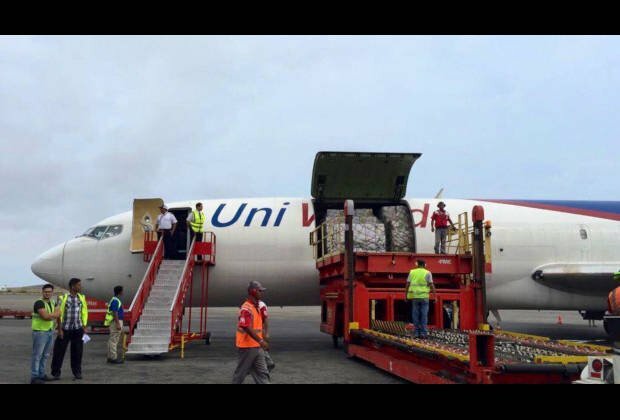 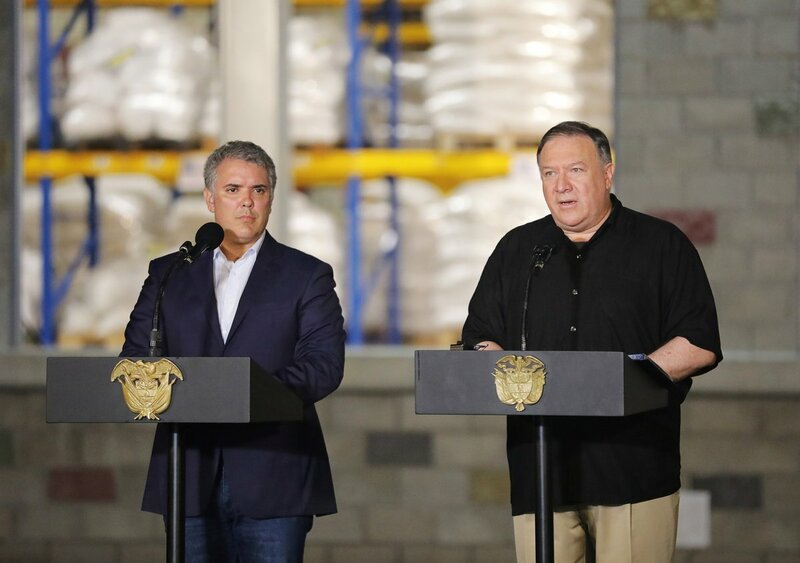 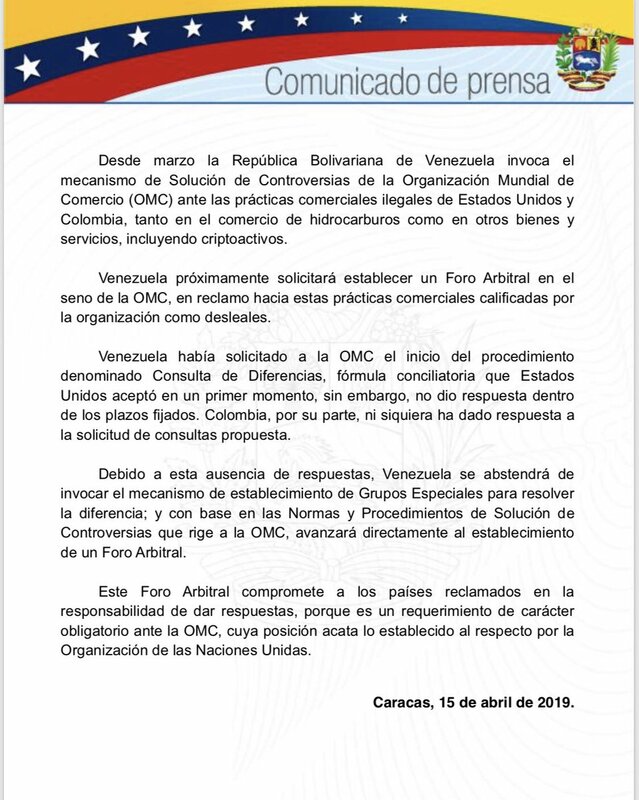 Maduro: "The false humanitarian aid was a politicized show and we defeated it"
Summary of the Advisory Committee held on Tuesday by the National Assembly, (@AsambleaVE). 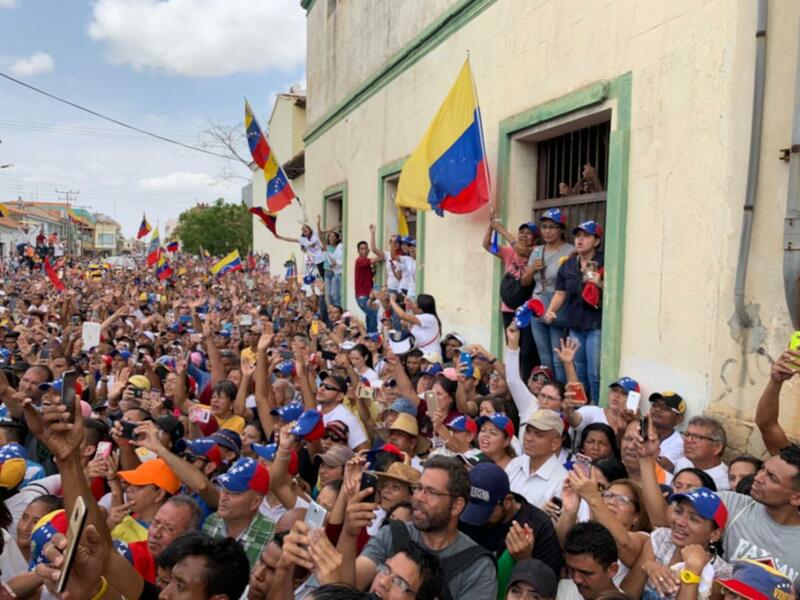 In the Radio and TV channel, Maduro says "Viva Cuba and Viva Venezuela, celebrates" 16 years of the Barrio Adentro Mission. 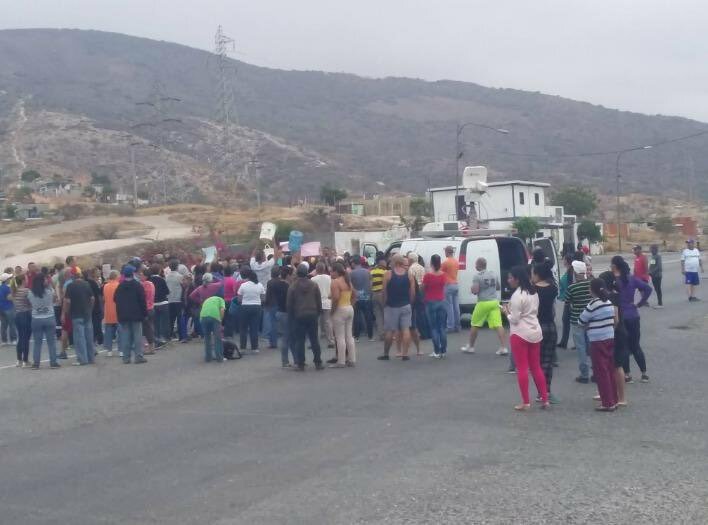 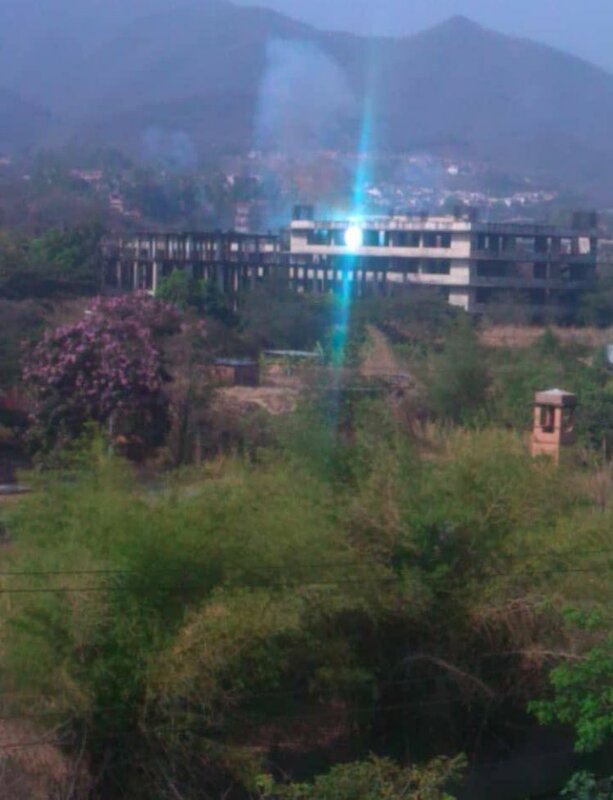 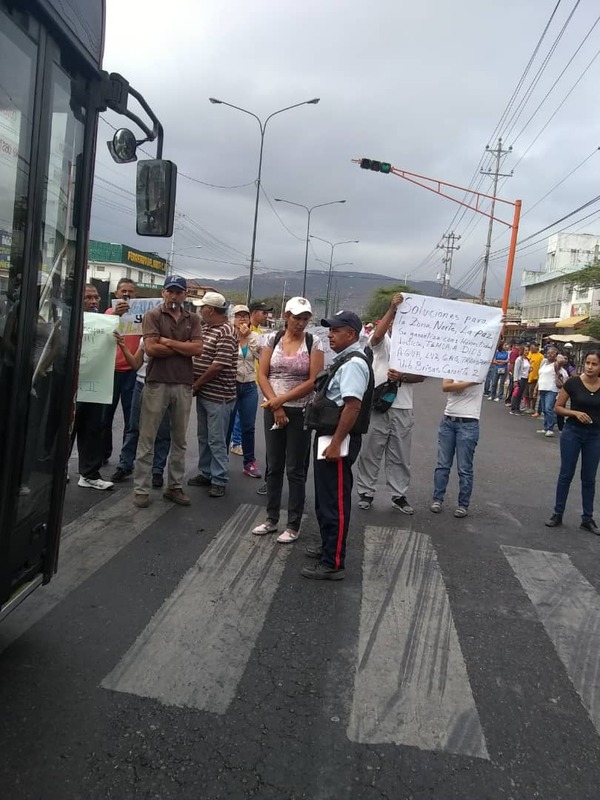 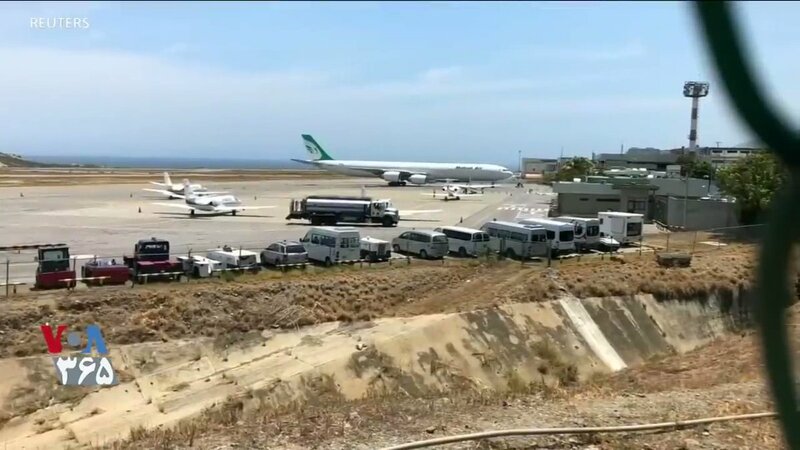 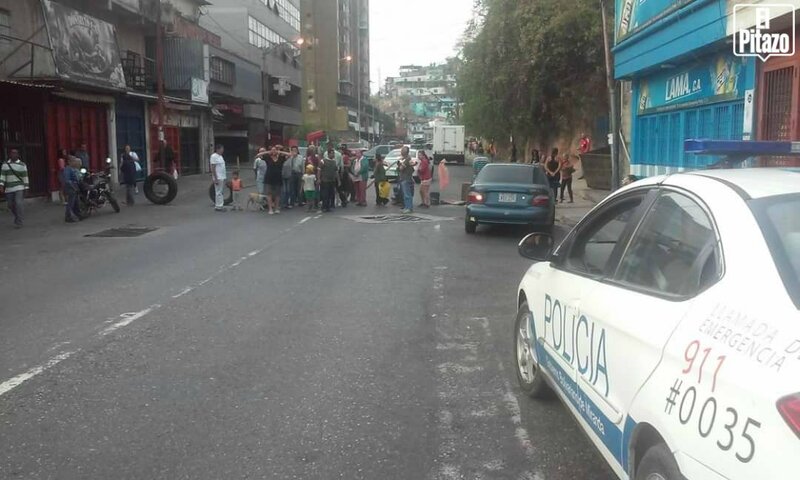 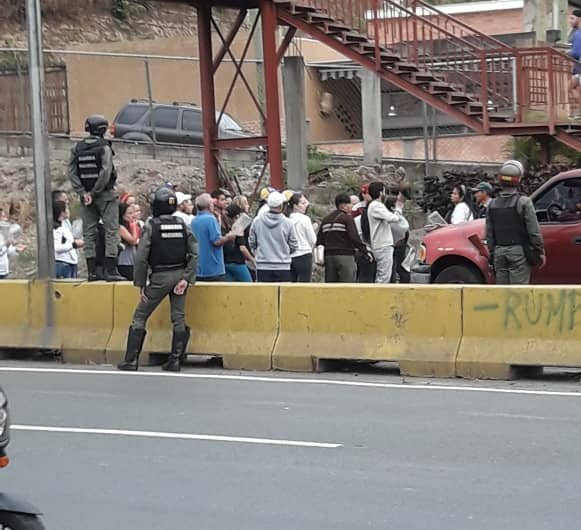 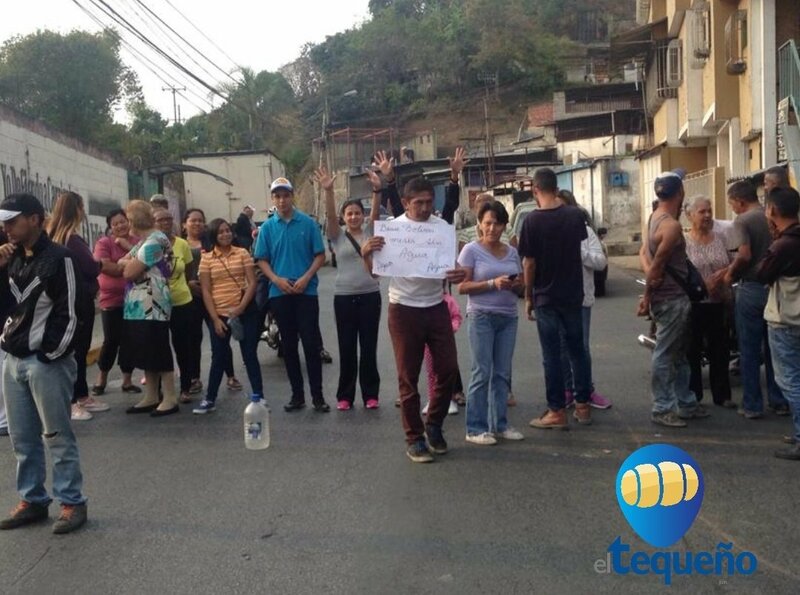 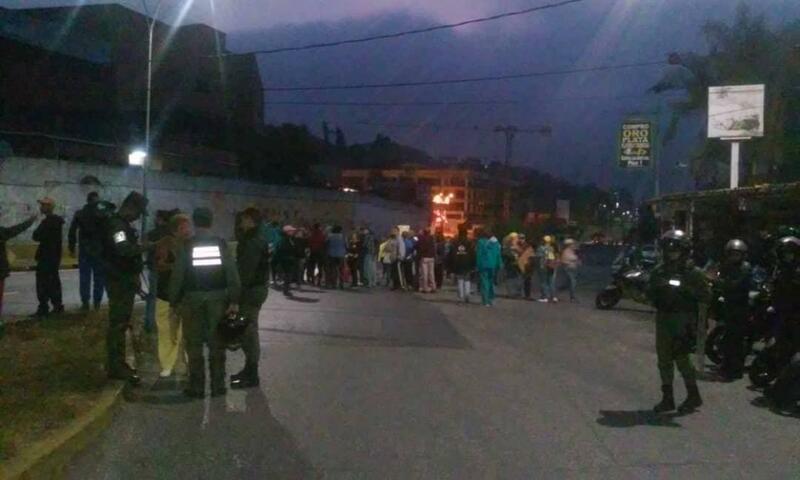 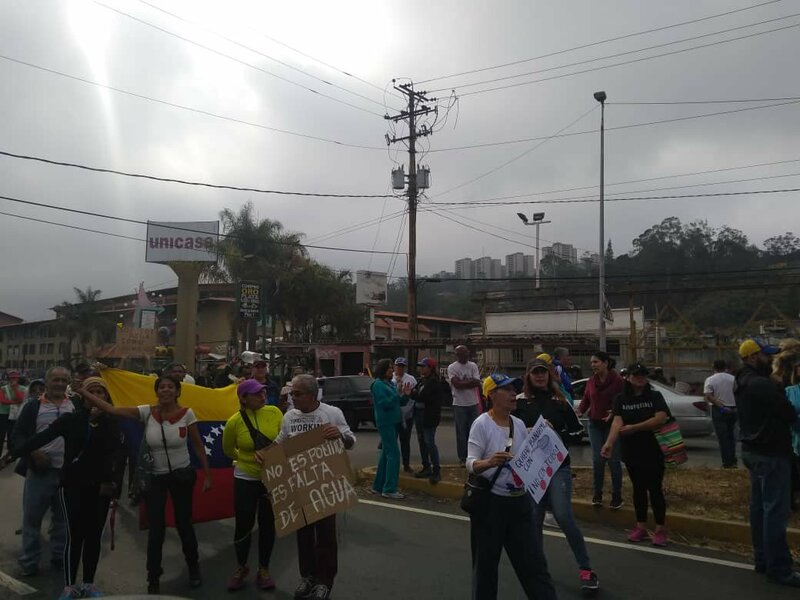 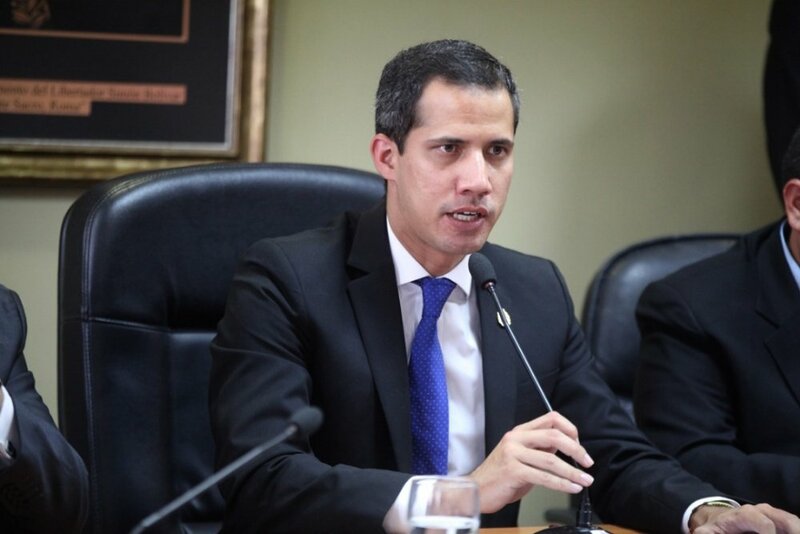 Acting President of Venezuela and of the #AsambleaVe @jguaido "Entry of Humanitarian Aid to Venezuela shows failure of the Maduro government in health"
Protest in the north of Barquisimeto, Lara state, due to water shortage. 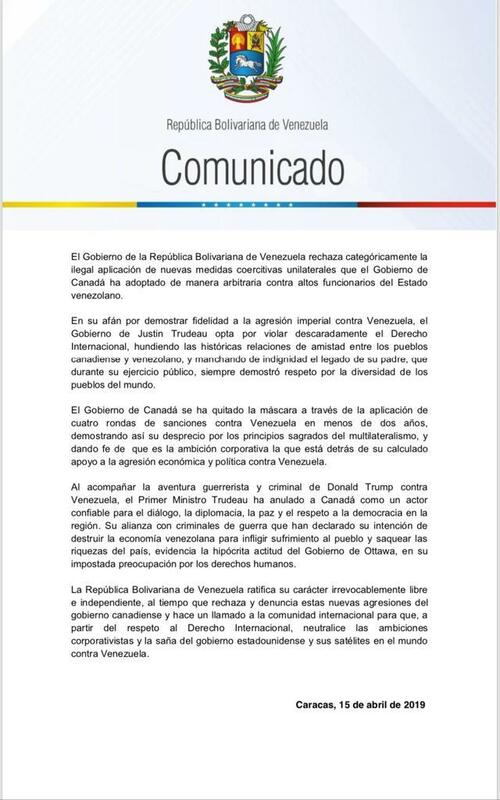 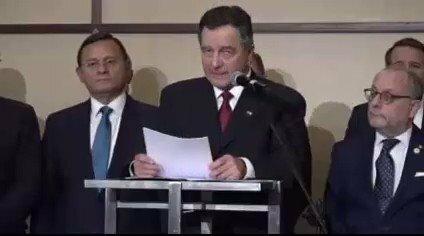 Delcy Rodríguez accused the US, Brazil and Colombia of planning an "aggression" against the country.